On the first Thursday of every month, I host a link-up for sharing book recommendations. Want to participate? It's easy. Pick a category, any category. It could be a specific genre of books, books you'd recommend to a particular audience, books you love re-reading, books that are better than the movie, or something else! Choose three books in that category that you would recommend to your readers. Post a brief summary of each of the three books, and why you'd recommend them. Add the 3BoT logo to your post. Below, you'll find the logo and code to copy/paste into your post. 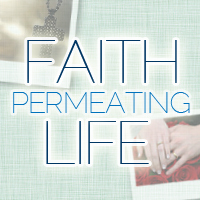 Submit your URL to the linky tool on this month's 3BoT post here on faithpermeatinglife.com. The linky tool will stay open for a week, so if you're a little late, it's OK!